Early last week, Thompson and his wife Brenda, also co-founder of Urbaneer, opened their own home to the public to showcase real “small space” living. “It’s more of a lab than a showroom because we are constantly updating it and trying new things,” Thompson said. “We’ve been here two years, we’ve learned a tremendous amount and we’ve learned how to live larger in a small space. Urbaneer started coordinating with Dave Morren, president of Insignia Homes, about four years ago to explore the option of smaller-scale single-family homes. Mike Dykstra, CEO of Zeeland Lumber, came on board last fall. For Dykstra, Urbaneer’s new home design could equate to lower build costs even as the construction industry struggles with labor shortages and material costs. “One trend that you’re seeing in our industry is what we call off-site assembly … building the panels off-site,” Dykstra said. 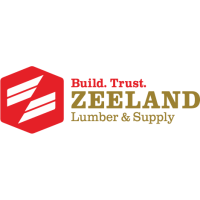 Zeeland Lumber has three locations where it manufactures prefabricated wall panels, reducing material waste and labor time on-site, Dykstra said. Similarly, Morren envisions the new home concept as an opportunity to gain efficiencies on a job and keep the cost of construction down. Insignia Homes will be Urbaneer’s first authorized homebuilder for this new series of homes. Aside from adding efficiencies in labor and materials, Urbaneer’s approach to meeting the housing needs of middle-income households involves creating compact spaces. “We’re working with designers and architects to make sure that it’s a buildable plan that we can use the efficiencies in,” Morren said. “It’s worked very well in the multifamily business, and we think with the right kind of design, thinking and partnership, we can really gain something in the single-family market,” Dykstra said. Thompson’s home is about an 800-square-foot footprint, which he said could amount to 1,200 square feet because of the flexibility features. In addition to the cost savings from living in a smaller footprint, Urbaneer’s flexibility features — being able to turn a bedroom into a dining room — can equate to “lifecycle cost” savings, like taxes, insurance, heating, cooling, etc. “Even in the polar vortex days, which we all are trying to forget, we were paying a little over $100 per month in this home, and with a conventional build, you could be at about $200,” Thompson said. The company also has two other models that it intends to bring to market: a 300-square-foot carriage house and a 576-square-foot cottage design with an optional basement. Aside from working to reduce the cost of buying a home, Urbaneer and its partners are looking at different metrics in determining the cost of living. The Urbaneer lifestyle is good for anybody age “22 to 102,” Thompson said. Regardless of people’s individual phases in life, the models Thompson is promoting are geared toward people who want to live a more compact, walkable lifestyle. Mike Morin, director of Start Garden and another partner on the Urbaneer venture, said it plays well to West Michigan’s innovation strengths. Thompson said West Michigan could see the first Urbaneer home come to market within the next couple of weeks. The partners are currently pursuing spaces throughout the region, including in Holland and Muskegon. The Business Journal previously reported Urbaneer spun out of Rockford Construction early in 2018. Urbaneer also gained national attention when it showcased its wireless kitchen concept at the Consumer Electronics Show in Las Vegas earlier that year.